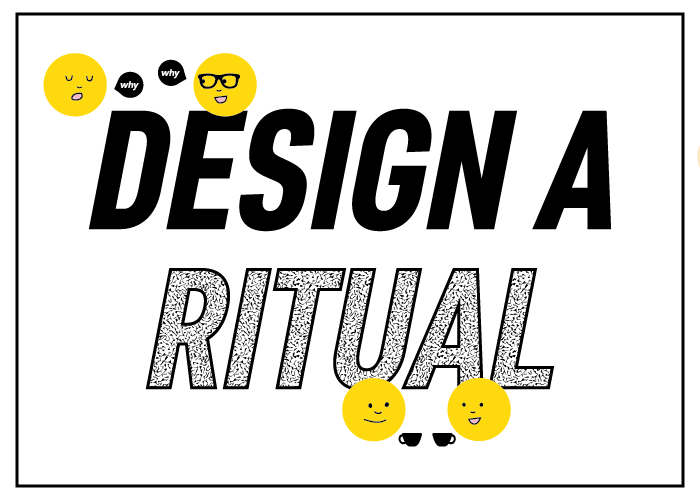 Rituals are powerful drivers of culture, so they should be thoughtfully designed and nurtured to reinforce the organization's values. Picture this: you're an engineer at Facebook's headquarters in Menlo Park. You're sitting in a lecture with a guest speaker, learning about the latest and greatest in nanotechnology. Next to you, one of your friends is capturing the speaker's best quotes on his phone. He texts a quote to a graphic designer friend who's sitting across campus in Facebook's internal print shop. The designer immediately designs a poster based on the quote, then pins them up around campus. As you walk out of the lecture, you see the posters--echoing the lecture that ended just seconds ago--already plastered on walls. Mind blown, right? But this is just another day at Facebook. The rapid poster-printing phenomenon is coordinated through Facebook's Analog Research Lab, an internal workshop open to everyone on campus. Employees can create any posters they want, on any topic they care about, and put them up anywhere--guerilla style. Sounds like fun. But it's about much more than that. Facebook has always valued openness, creativity, and giving everyone the power to build things. Poster-making is a powerful expression of this. It's a great example of a ritual--a meaningful recurring practice that connects employees to an organization's core beliefs. Companies practice rituals of all kinds--celebration rituals, eating rituals, storytelling rituals. Why are they important? Rituals engage people around the things that matter most to an organization, instilling a sense of shared purpose and experience. They spark behaviors that make the work and the company more successful. 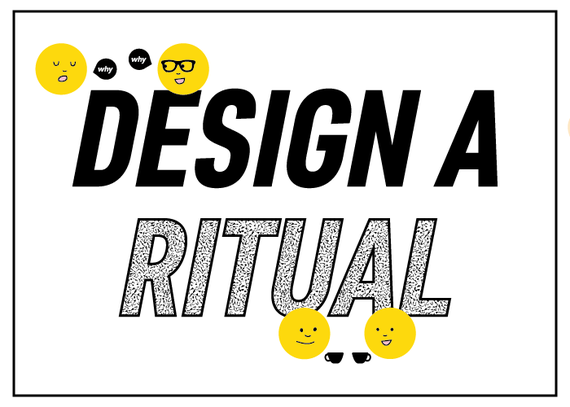 Rituals can be powerful drivers of culture, so they should be thoughtfully designed and nurtured. This starts with setting an intention. What is the organization's unique purpose and set of values? What mindset and behaviors will help people deliver on those? A great ritual will reinforce that mindset and those behaviors in a way that feels authentic to the organization and its people. What works at one company, might feel totally foreign somewhere else. It's also important to think about what will make a ritual stick. Why will people want to participate? Can it start organically and catch on, or will people look to certain leaders to model it first? Designing a ritual that will sustain over time requires tuning in to the organization's existing culture, beliefs, and behaviors. Let's look at a few more examples. When Howard Schultz returned to Starbucks as Chairman and CEO in 2008, his priority was to strengthen the core of the business: serving quality coffee. Schultz recognized that this starts with employees (known as partners). In his 2012 book, Pour Your Heart Into It, Schultz writes "It's our partners who pass on to customers their knowledge and passion about Starbucks." As a way to ignite this in every partner, every new hire takes part in a ritual tasting of his or her store manager's favorite coffees. The manager tells the story of where the coffee is from, how it's grown, and how it's brewed. It's a ceremonial experience that reinforces Starbucks' values--for the new partners and managers alike. When a marketing group in a multinational financial services company redefined its internal purpose, IDEO helped the group define three pillars of action to bring this new purpose to life. Each pillar was in support of behavior changes that needed to happen around energy, impact, and skills. For the energy pillar, the group wanted to improve the inefficiencies within their control and re-allocate more time and space to the most impactful aspects of their jobs. But how to make these behaviors stick? The IDEO team, led by Business Designer Simon Heather, helped the marketing group design and prototype a simple series of rituals for meetings, including ending meetings ten minutes early, removing chairs from meeting rooms to encourage briefer stand-ups, and declining at least one meeting a week when participation seemed unnecessary. These small rituals challenged current practices and helped shift behaviors around time management: instead of feeling the obligation to attend countless meetings, individuals felt energized with a renewed sense of ownership over their time. Etsy is all about supporting the local community, internally and externally. This cultural value sparked an employee food program, appropriately dubbed 'Eatsy.' It started with people gathering at a picnic table to have lunch together a few times a month. Soon enough, these informal communal lunches became a deliberate twice-weekly ritual with food provided by local vendors. Even the decision to provide lunch only twice a week was an intentional one. 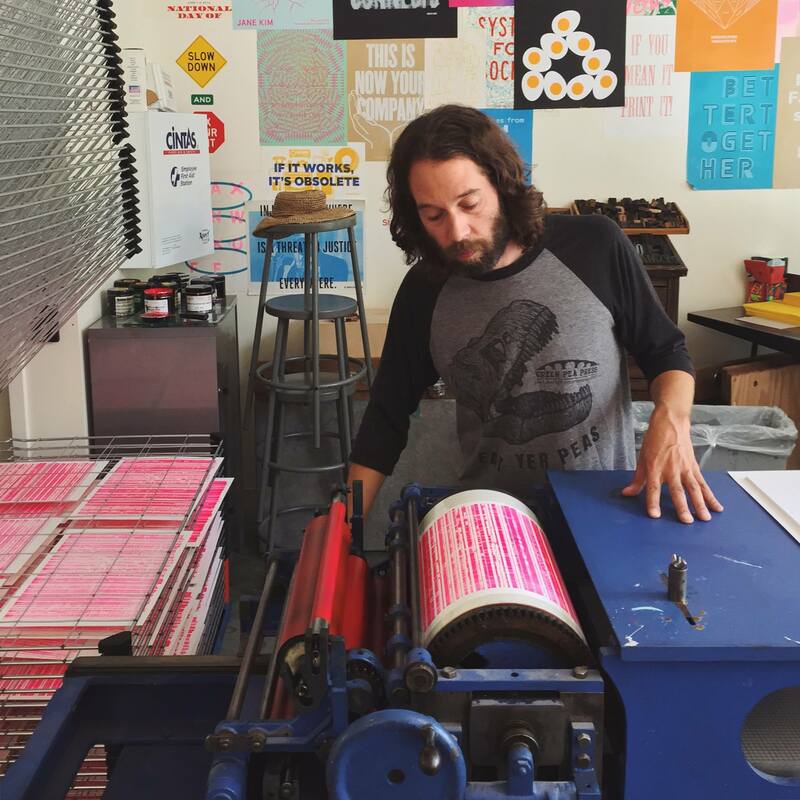 Because after all, "[i]t would be hypocritical for Etsy to say they believe in supporting local makers and local communities while creating an environment in which employees never have reason to leave their office or frequent local restaurants," says Etsy's global food program manager, Will Robb. This is a beautiful example of how a company's values are manifested in its lunchtime rituals. There are many other examples of great rituals that help employees live their organization's purpose and values. We've collected some of our favorites below. One of Dropbox's five core values is simply an image of a smiling cupcake. Why? Because Dropbox doesn't want to take itself too seriously. When Dropbox makes an offer to a new employee, the employee receives a special delivery at home: a cupcake kit in a beautifully designed box. This ritual reflects Dropbox's fun nature, and brings delight to its employees--even before they've joined the company. Toyota believes that every problem is an opportunity--so when something goes wrong, managers are trained to ask 'why?' five times in order to unearth the root cause instead of focusing on the surface-level symptom. This ritual acts as a heuristic to help employees solve larger issues. As a reflection of the value that Gentle Giant places on strength and endurance--and as a nod to early employees' roots in college rowing--every new hire completes an inaugural 'running of the stairs' in a nearby stadium as colleagues cheer them on. What unique rituals have become embedded in the daily experiences of your organization? How are you trying to evolve your workplace culture--and what kind of ritual might help? Mollie West is an organizational designer at IDEO in New York, NY. She helps IDEO's clients shape the conditions that influence how employees experience their work. She designed a start-up culture toolkit, and her writing about organizational culture has been published in Fast Company, Quartz, Stanford Social Innovation Review and other digital outlets. You can subscribe to her newsletter at www.mollieawest.com or follow her @molliewest. Kate McCoubrey Judson is a senior strategist at SYPartners in San Francisco, CA, working at the intersection of culture, business, and brand to help leading global companies design their futures. With a background that bridges psychology and design, Kate is deeply curious about the drivers of human behavior change--in the workplace and beyond. Find this visual thinker on Instagram @katemccou.